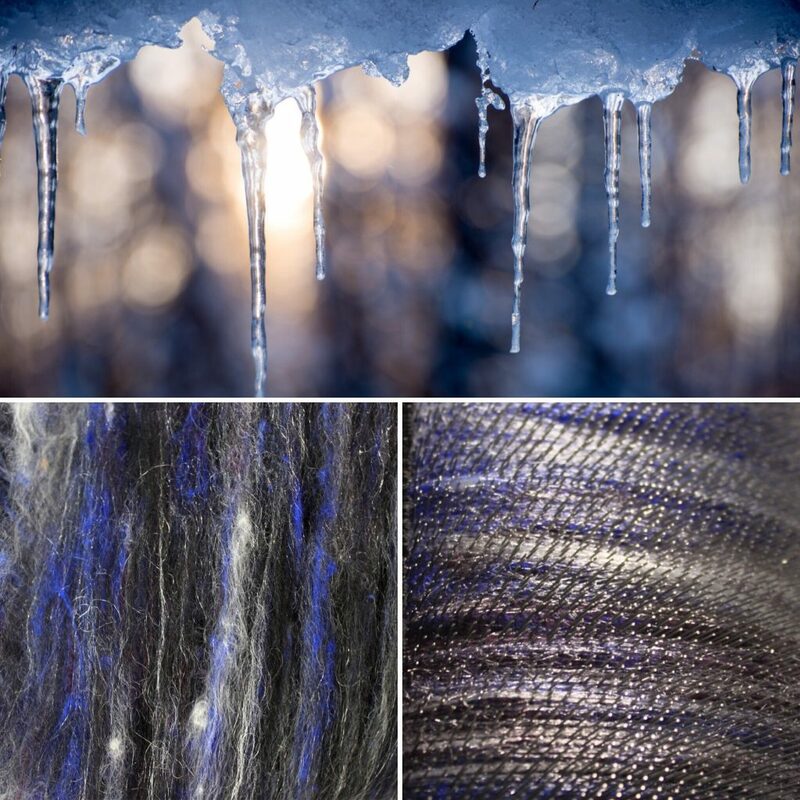 Winter is here, and we’re closing out our 2017 series of seasonal batt projects with this project inspired by a familiar winter sight: icicles. You can find our previous project tutorials by clicking here. Our source image has very dark blue hues accented by lighter cool tones with a bit of warmth in the background. We chose a variety of fibers to match these colors, and used the white synthetic fiber to create a sparkly icicle effect. 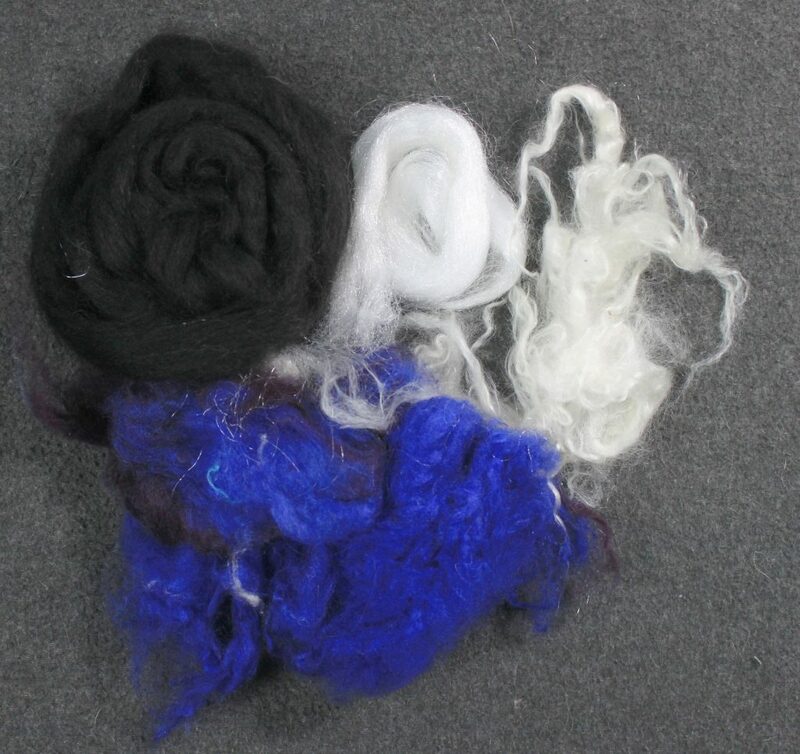 To make your batt, first add 1/2 ounce of your black fiber as a base. 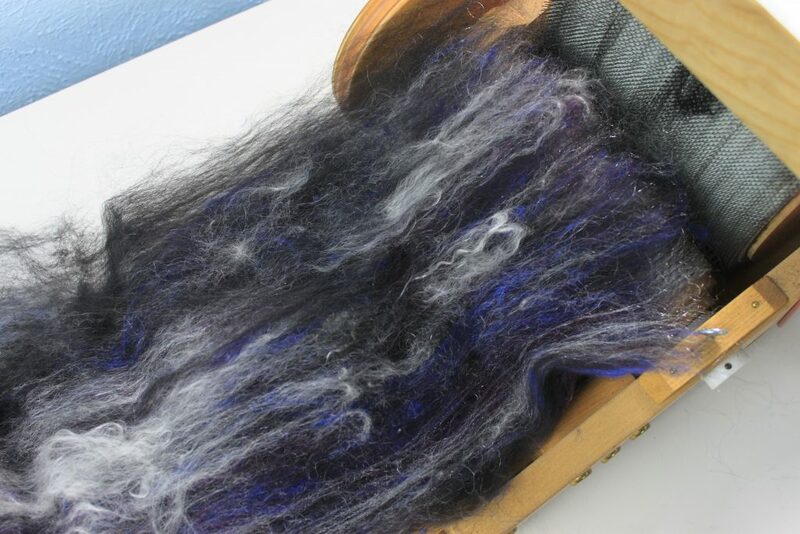 Begin adding in each of the additional fibers listed above in the sequence, then finish with the other 1/2 ounce of black fiber. 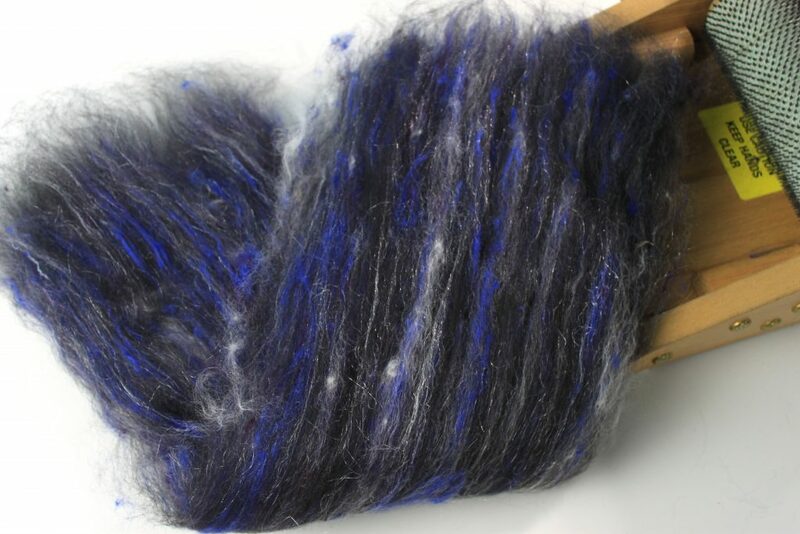 Remove your batt off the carder, then split it into four equal parts and blend it again to mix the fibers together more uniformly. If you find that your batt is darker than the inspiration photo, don’t worry! 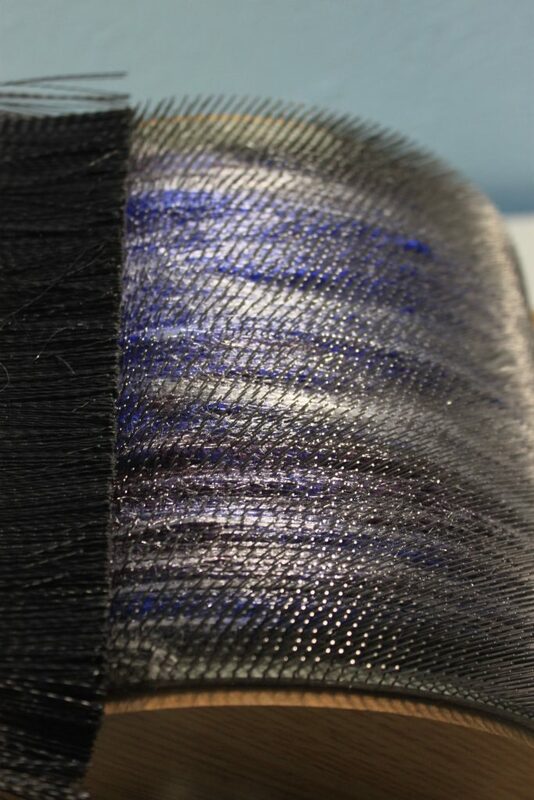 As you can see above, we had the same issue, and it was easily fixed by splitting the batt into two equal parts and blending the first half with another 1/4 ounce of white mohair locks, then adding the other portion of the batt to blend everything together. By leaving this layer of mohair unblended, the spun yarn will have larger spots of white, achieving the balance between the light and dark. 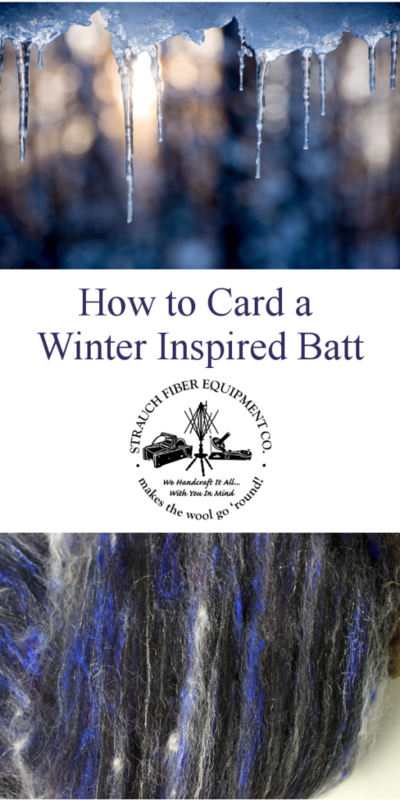 If you try this tutorial or create your own winter inspired batt, let us know on Instagram by tagging your post with #strauchfiber. This entry was posted in Fiber, Strauch Products, Tutorial and tagged 2017 seasonal batts, batt, batt blending, batts, blending, color inspiration, drum carder, drum carding, Fiber, fiber art, fiber prep, How to, strauch, strauch drum carder, Strauch Fiber, strauch fiber equipment, winter, wool, wool blending. Bookmark the permalink.